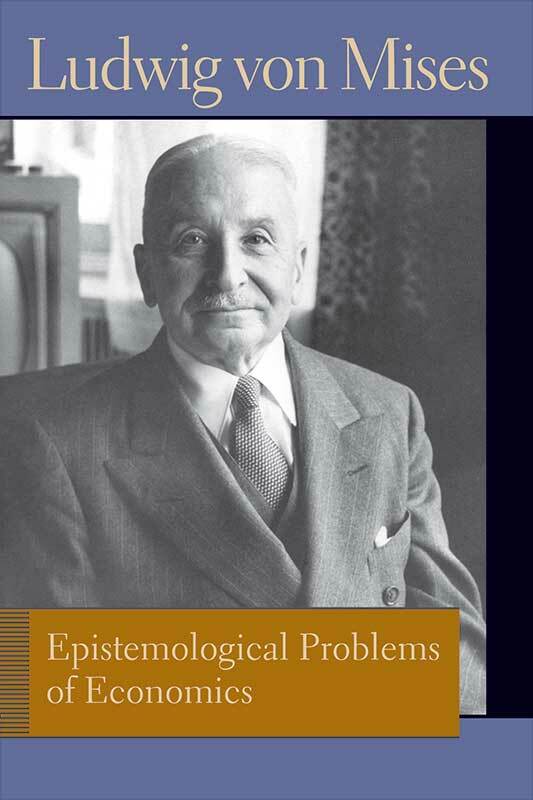 First published in German in 1933 and in English in 1960, Epistemological Problems of Economics presents Ludwig von Mises’s views on the logical and epistemological features of social interpretation as well as his argument that the Austrian theory of value is the core element of a general theory of human behavior that transcends traditional limitations of economic science. This volume is unique among Mises’s works in that it contains a collection of essays in which he contested the theories of intellectuals he respected such as Carl Menger, Eugen von Böhm-Bawerk, and Max Weber. Mises describes how value theory applies to human action at all times and places as opposed to economic theory, which applies only to a human action guided by economic calculation. Foreword, prefaces to both the English and German editions by Mises, index.